As a child, Dr. Gregg went to see a chiropractor though he knew nothing about the profession. Fast forward many years to when his stepdad was going to chiropractic college. Dr. Gregg accompanied him to hear a lecture in Philadelphia and quickly fell in love with the whole concept and philosophy of chiropractic. 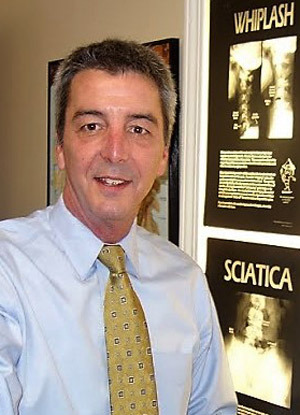 “I was so compelled to become a chiropractor that I gave my two weeks’ notice at work.” Dr. Gregg used to work in the paper industry, selling big rolls of toilet paper to the government. About 30 at the time, he made the gratifying career switch. He obtained his chiropractic education at Life University. To stay abreast of the latest developments in the field, he does 25 hours of continuing education every year. Dr. Gregg has also served as a board member of the Georgia Council of Chiropractic. He was part of the education team. Additionally, he was on the board of the Georgia Chiropractic Association for five years. Dr. Gregg is passionate about making a lasting difference in the lives of those in his care. From helping kids and teens to athletes and lively seniors, he loves helping his patients enjoy greater health and vitality. Outside the practice, Dr. Gregg and his wife are avid gardeners and have their own rock garden. They’re also animal lovers. The couple enjoys being outside, and Dr. Gregg especially loves to throw the Frisbee. Staying active in their church is also important to the couple. Dr. Gregg has served as an usher for 15 years, and his wife is part of the choir and various mission groups. If you want to enjoy optimal health and wellness, contact us today to book an appointment!